Cantilena consists of six professional players, and every year we invite selected students from the Royal Conservatoire of Scotland, some of who will be experiencing for the first time the concentration and sustained demand for excellence that is required for a week of great music. Angus Ramsay studied under the celebrated violinist Max Rostal at the Music Conservatoire in Bern, Switzerland. Throughout the last 35 years, he has performed both as a soloist and as part of many of the most respected and well-known orchestras and chamber music groups in the UK and Europe. 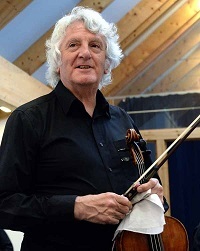 He is Artistic Director of The Music Parlour, teaches extensively throughout Scotland and has also spent his career as a principal player in the orchestra of Scottish Opera. 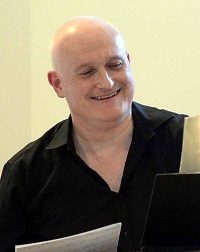 Scott Mitchell is a senior staff accompanist and chamber music coach at the Royal Conservatoire of Scotland in Glasgow where he also taught piano in the Junior Department. He performs regularly throughout Britain and has recently recorded Dave Heath’s Piano Concerto with the BBC Concert Orchestra. 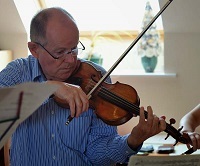 Stephen has held principal viola appointments in all the major Scottish orchestras. With Adrian, he was a founder member of Cantilena in 1970. Since being London-based, he has also been principal of the BBC Concert Orchestra and co-principal of the Royal Philharmonic. For ten years he has concentrated on freelance work, particularly in chamber music and solo work, mainly in Cirrus Ensemble, The Lochrian Ensemble, and has participated in all the Islay concerts since he was invited in 2002. Havilland Willshire was a student at the Royal Northern College of Music in Manchester where he studied piano, violin and singing. 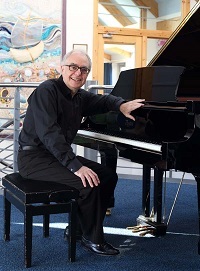 After postgraduate piano studies, he pursued an active concert career as soloist and chamber musician including live broadcasts and recording for BBC radio. Before becoming Head of Juniors at the Royal Scottish Academy of Music and Drama (now Royal Conservatoire of Scotland) Havilland spent many years in education in Wigan as Head of Music Centre and subsequently Head of Music Service. Havilland has worked extensively with young people in bands, orchestras, choirs and chamber music. He was appointed Dean of Music at RCS in 2009, a post he held till he and his wife moved to live in the Cotswolds and he took up the position of Assistant Director of Music and Head of Performance at Trinity Laban in London. Sarah Harrington is an active member of the Scottish Opera Orchestra as well as being a busy freelance player performing in chamber and ensemble groups around Scotland. 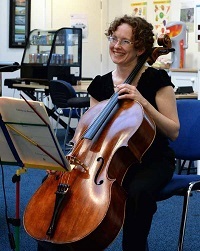 After studying cello at the Royal Academy of Music in London, Sarah freelanced with many Orchestras including, English Chamber Orchestra, Glyndebourne Touring Opera and Bournemouth Symphony until moving back to Scotland in 1998. Sarah greatly enjoys performing in Chamber groups and regularly performs with the Edington Ensemble. As Sarah’s father (John Harrington, formerly principal viola of the RSNO) was one of the founder members of Cantilena, she is delighted to have been invited to play for the Cantilena Festival. Paul was born in Manchester. He was awarded the Hiles Gold Medal for orchestral playing. At 19 he was appointed Sub Principal of the Ulster Orchestra and later joined the Scottish National Orchestra as Principal. 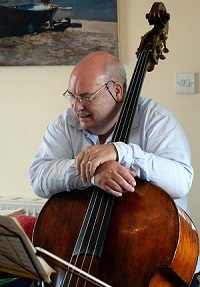 After playing with the London Symphony Orchestra, he was appointed Principal Double Bass with the BBC Symphony Orchestra, the position he retired from a couple of years ago. During his professional career Paul enjoyed playing chamber music including playing with St Martin in the Fields. Paul and his wife have now retired to Scotland and are enjoying their new life just outside of Oban. 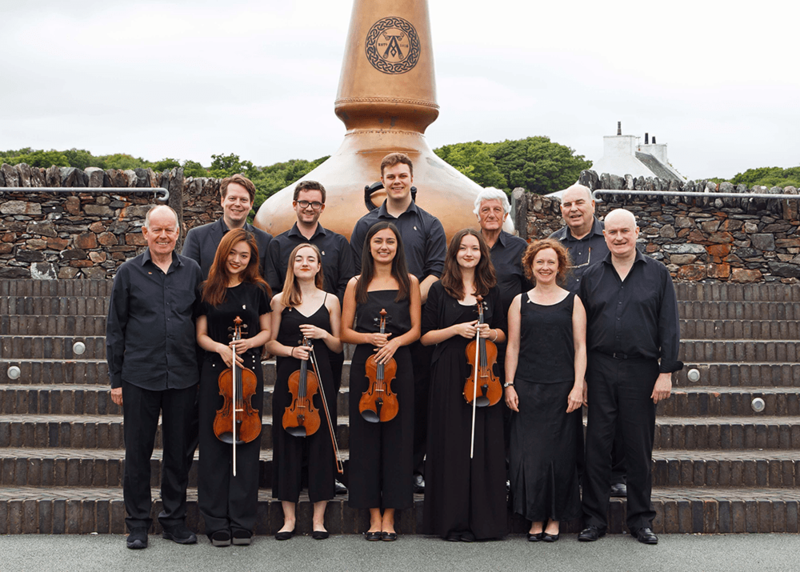 Each year, Cantilena invites a number of students from the Royal Conservatoire of Scotland to Islay for a unique experience. These young professionals have to rehearse and perform with us to the highest of standards, but well away from the hustle and bustle of their studies in Glasgow, and where they can learn and share the passion for music in a more serene atmosphere. These young musicians do not receive a fee, but Cantilena provides their accommodation, travel & subsistence. Hence we are indebted to our sponsors who assist us immensely in giving these students a very special course, one where they learn how to rehearse, how to play different styles of music, and how the dedication to hard work results in shared enjoyment of the music with a highly appreciative audience, some who will be familiar with the music, and some who will be hearing it for the first, but hopefully not the last, time.